The Slack Adjuster Service Kit is designed to fit on all major brands of Manual and Automatic Self-Adjusting type slack adjusters. It also includes two brake clevis pin presses for quick removal of the clevis pins as the cotter pins are sheared off in the process. Made of high strength steel casting designed for high capacity pulling and safely removes all makes and models of manual slack adjusters. Can be used with a 1/2" impact tool. This tool fits virtually all Rockwell self-adjusting slack adjusters with a depth of 2.75". Can be used with a 1/2" impact tool. Made of high strength steel. Can service virtually all Gunite, Brunner and Bendix self-adjusting slack adjusters. Can be used with a 1/2" impact tool. Made of high grade steel. This tool is adjustable. The new and improved design accommodates the removal of virtually all haldex self-adjusting slack adjusters including, left offset, right offset and standard elongated arm designs from either side. The arm length is 2.41" long. Can be used with a 1/2" impact tool. Made of high grade steel. Not compatible with: Haldex Part# 40010306. 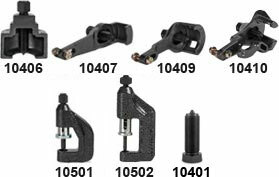 Works on virtually all makes and models of truck and trailer slack adjuster brake clevises. Instantly shears off the cotter pin as the clevis pin is easily removed. 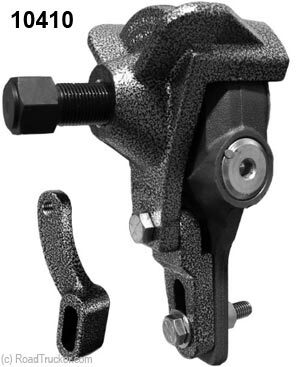 The spring-loaded plunger positions itself automatically over the brake clevis pin. 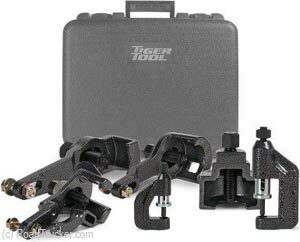 Will work on virtually all makes and models of automatic slack adjuster rod pins and the spring-loaded plunger positions itself automatically over the slack adjuster rod clevis pin. Instantly shears off the cotter pin allowing the 3/16" clevis pin to be easily removed. 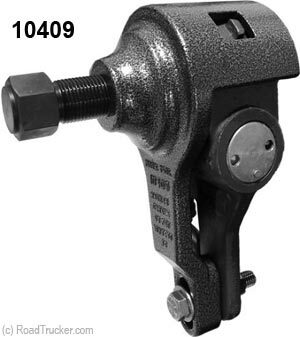 The internal height of the Slack Adjuster is 1 15/16", and the depth is 1 1/16".